We need to deliver products to market quicker than ever and be more responsive to market trends. We want to become the bank of the future. Barclays, a global financial services provider based in London, faced increasing regulatory pressure and market demands—led by industry disruptors offering modern, digital services. 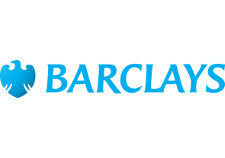 Looking to increase innovation and productivity, Barclays set out to build an Application Platform-as-a-Service (aPaaS) as part of its cloud program. It used Red Hat® OpenShift Container Platform and other Red Hat solutions to update its IT infrastructure and adopt an agile, DevOps approach to application development, giving its developers on-demand, self-service capabilities. As a result, the bank improved its efficiency and agility to innovate faster and stay competitive. Barclays used Red Hat solutions and a DevOps approach to increase innovation, speed, and productivity to stay competitive. Barclays adopted a DevOps approach where technical and business teams work together to quickly meet customer and market demands through continuous development. As part of the bank’s cloud strategy, it chose to replace its traditional middleware for an on-premise aPaaS with Red Hat OpenShift Container Platform. This solution provides its development teams with a more secure, consistent, and scalable platform for application development and hosting. The bank received on-site assistance from Red Hat to design and build the solution and train its teams. “We saw this project as a journey. Deploying the initial platform was as much about understanding how internal end users apply the technology as it was choosing the technology,” said Cashmore. With its new DevOps approach and aPaaS environment, Barclays’ developers can work more efficiently to quickly release updates and features. Self-service capabilities have cut provisioning times from weeks to hours and freed up IT staff to work on new, valuable projects instead of routine tasks. These improvements have helped the bank’s internal users—in London and worldwide—work more effectively. “Now, with Red Hat OpenShift Container Platform, we’re more agile,” said Cashmore. “We can think of an idea, try it, fail, learn, and make adjustments. Culturally, that’s a big change.” Moving forward, the bank plans to move into public cloud computing and offer the same service across public and private clouds.